Voyages of Discovery has welcomed the refurbished 540-passenger Voyager into its fleet. The ship was expected to depart Dec. 4 from Portsmouth in the U.K. on an inaugural sailing to the Caribbean and South America. Parent company All Leisure Group plc purchased the ship, formerly the Alexander von Humboldt, in 2009 and invested millions to refurbish it, using predominantly British design and manufacturing companies. The technical upgrades and redesign took place in the U.K., in the Dorset port of Portland. Voyager was christened by Miranda Krestovnikoff, a British wildlife television presenter. 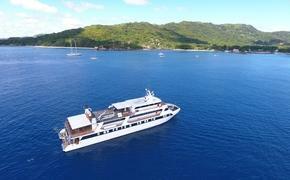 Voyager has 270 staterooms, of which 87 percent are ocean-view and 35 are suites (30 with balconies). Three restaurants have open-seating dining, while a new specialty restaurant, The Explorer Club, is pre-bookable but free of charge. Other additions to Voyager include an explorer theme throughout the ship to reinforce the brand’s destination-led cruises, the Scott’s Lounge piano bar, a Lookout Lounge at the front of the ship, and a new terrace with an all-weather area for al fresco dining. After the four-day inaugural celebration, Voyager embarks on a 17-day trans-Atlantic journey to the Caribbean, arriving in Barbados on Dec. 20 to begin a series of winter sailings to South and Central America and the Caribbean.